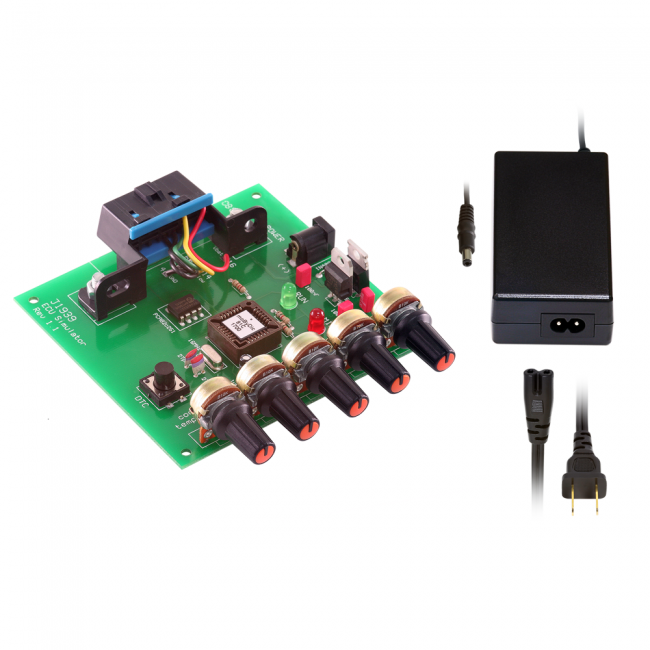 The J1939 simulator is a valuable tool for the development and testing of diagnostic programs and hardware. This simulator has 5 user-adjustable PIDs. The DTC button can be used to generate trouble codes and illuminate the MIL LED. Physical connection is made through a standard SAE J1962 connector. This item ships with a 24V switching power supply and a U.S. style/UL listed power cable. This product is covered by a one year parts & labor warranty. Visit J1939 Bus OBD Simulator forum board to ask questions and get support for this product. Support for this product is limited.